CeramycShield is a Ceramic Surface Treatment (CST) that uses nano-Alumina and Zirconia Silicates to renew and preserve concrete surfaces. This dense ceramic polymer wraps around and atomically bonds to all elements in the concrete, shielding the surface from the environment. CeramycShield is not affected by wet/dry or freeze/thaw cycles, and will not peel, flake, chalk, or delaminate in any manner. Epoxies and paints are commonly used over concrete surfaces, but they only “stick” to the surface and quickly degrade and peel-off, due to their weakness when exposed to UV sunlight and inability to breathe out trapped water vapor. Trapped moisture in the concrete allows for carbonation and biological growth, leading to cracking, spalling, rebar rusting, and eventual concrete failure. CeramycShield eliminates all of these problems. CeramycShield is designed to coat the surface as well as, bridge, and fill the pores and micro-cracks in concrete, binding all elements together under a protective ceramic layer. 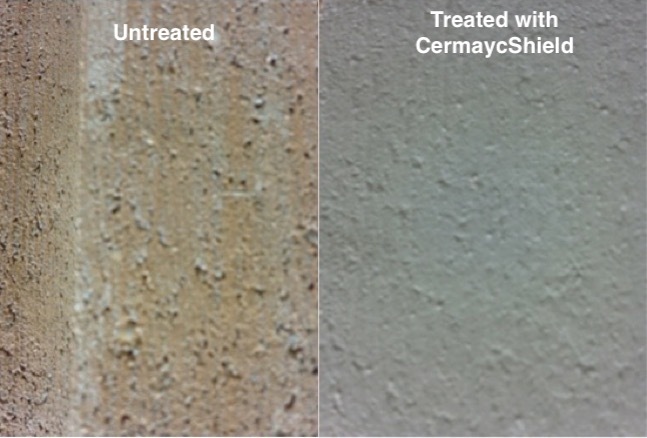 CeramycShield reduces surface porosity dramatically to prevent water, road salts and other destructive elements from entering the concrete. CeramycShield offers excellent abrasion resistance and will not peel or tear. 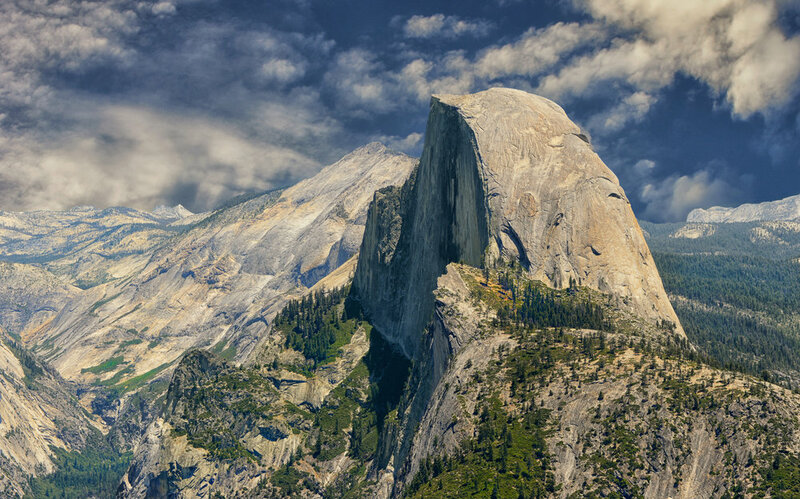 It includes advanced ceramics like Silica Carbide and Boron Nitride that create a durable near diamond-like hardness (MOHs hardness of > 9) that resists weighted and grating abrasion. The dense, inert, non-nutrient surface of CeramycShield creates a physical barrier to microbes and their food source, preventing them from colonizing the concrete surface. CeramycShield is immune to UV and heat, and maintains a permanent pH 12 that buffers against acid rain (carbonic and sulfuric acid, H2S) and other airborne contaminants. Provides a dense, non-nutrient, non-habitat, oxidative surface that prevents microbes from colonizing the concrete surface. CeramycShield bonds into itself, meaning you can spot repair this ceramic coating without the need for full repainting. This gives you infinite reparability and lowers the cost of manintenance and renovation. Vitrium is a green-solvent based penetrating sealer designed to cross-link into the surface of Zirconia's CeramycShield ceramic surface treatment. This solution of glass particles creates a zero-porosity glass surface. The resulting non-porous surface prevents the penetration of oil, dirt and other contaminants and makes concrete cleaning easy!